Blending domestic thriller and psychological horror, this first-person novel follows a mother fleeing her estranged husband. 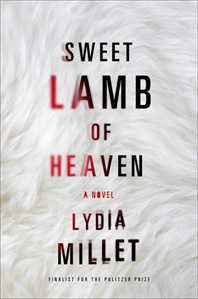 Lydia Millet’s Sweet Lamb of Heaven confounded me, delightfully so...It is Anna’s voice — cool, intelligent, passionate, contradictory — that makes this novel so affecting. 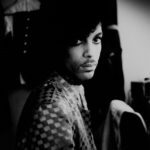 I resisted it initially because I was overwhelmed by my sense of dislocation, my uncertainty about where we were headed. But how I missed it when it was gone, how I yearned for it to speak to me again. Sweet Lamb of Heaven is, in short, a book that Richard Dawkins would enjoy immensely. Millet deserves to be celebrated for staking out territory in which the novel can ruminate about current scientific developments. But that makes her work sound dry or polemical, which it is decidedly not. It’s exuberant and playful. That Millet can smuggle her original insights into a structure featuring a rollicking kidnapping plot and deliciously well-drawn characters makes her achievement even more remarkable. Millet is well known for writing idea-rich books, so perhaps it is no surprise that even if Anna isn't a resourceful fugitive, she thinks a lot and interestingly...If Anna were just another middle-class escapee on a spiritual quest, that might come off as handsome but a little hokey. But Anna's lucubrations, offered between games with her daughter and chats with her neighbors, are part of a higher-stakes game being played by Millet, one that will ultimately, unabashedly touch on time, beauty, horror, God, demons and the very nature of being. By novel's end, having gazed all along through the cracking lens of Anna's apparent ordinariness, the stakes have been raised through the roof. What did you think of Sweet Lamb of Heaven?